Jeremy of Lucid helped us get all our systems and remotes consolidated into one remote control. Also he helped us update our technology. Now we have all our tech devices in one cupboard, one remote in hand and services far greater than before. We now can easily project programs from our laptops onto the flat screen above the fireplace for our family to clearly watch. We project pictures from our iphones onto the screen so grandkids can enjoy seeing themselves on a slide or video show. Additionally, Jeremy updated our sound to the dining room for dinner music and he put in speakers above our kitchen island so that we can better hear TV while amidst food preparation. Jeremy worked cooperatively with other contractors in the house during a very friendly, neat installation. He also took time to teach us how to best use the system before completing the job. He has graciously retaught us and helped us over the phone when we have had questions. We are very pleased with what Lucid has provided for us! 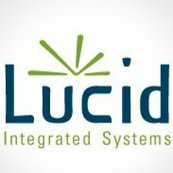 Having Lucid Integrated Systems set up your house technology is like having the best AV guy right at your fingertips.